Building Employees by Bridging Knowledge! A career in Highways is exciting with new developments that will affect transportation in the 21st century and beyond. Choosing a career with the Federal Highway Administration (FHWA) provides an opportunity for you to embark upon a profession that makes a difference. By joining the FHWA, you become among the leaders and innovators of the best transportation system in the World. 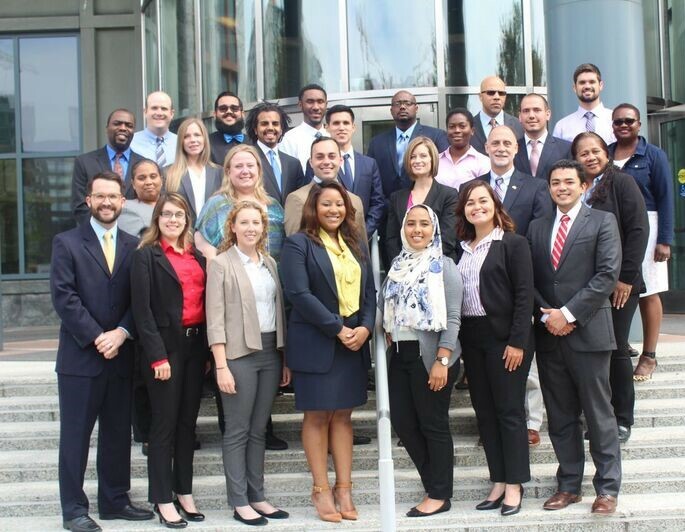 The FHWA Professional Development Program (PDP) is an entry-level career development program that provides an excellent opportunity to begin your professional career with the FHWA. There are exceptional careers for talented people at FHWA. We hire the best, the brightest, and the most committed people to help us carry out our mission. FHWA is looking for exceptional college graduates with a bachelors or masters degree for the PDP in a variety of disciplines. "This is an excellent program where the participant has the opportunity to travel around the United States and to work with different Local, State and Federal Agencies. FHWA provides valuable technical and leadership training to its employees."